Showing 3 articles from January 30, 2015. YOUNGSVILLE -- A Wake County man who led Franklin County sheriff's deputies on a two-county, high-speed chase that resulted in a cement truck wreck is slated to appear in court next month -- and the next. 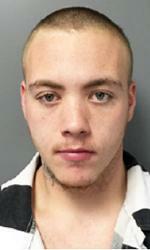 Skylar S. Blackley, 20, faces charges associated with the incident in Wake and Franklin counties. He was already facing charges from Chatham and Durham counties. ROCKY MOUNT --Funeral services for Carolyn "Marie" Hunter, 72, who died Tuesday, Jan. 27, 2015, will be held at 11 a.m. Saturday, Jan. 31, at Shiloh Missionary Baptist Church in Whitakers, with the Rev. Timothy McGuire officiating. Burial will follow in the church cemetery. Louisburg resident Ashley Garcia won two tickets to Sunday's Super Bowl through McDonald's Pick the Play contest. The Louisburg store hosted a send-off party for Garcia and her husband, Zeek, on Thursday night. The couple left for Arizona on Friday morning. 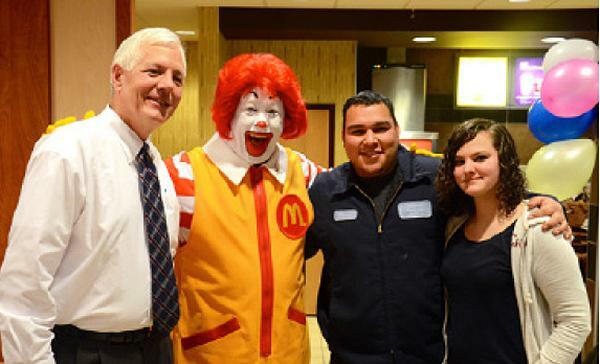 From left to right are store owner/operator Steve Fordham, Ronald McDonald, and Zeek and Ashley Garcia.